Fly into the ultimate adventure, bear-watching in Alaska. Our veteran Alaska bush pilots are your ticket to an awesome Alaska experience. 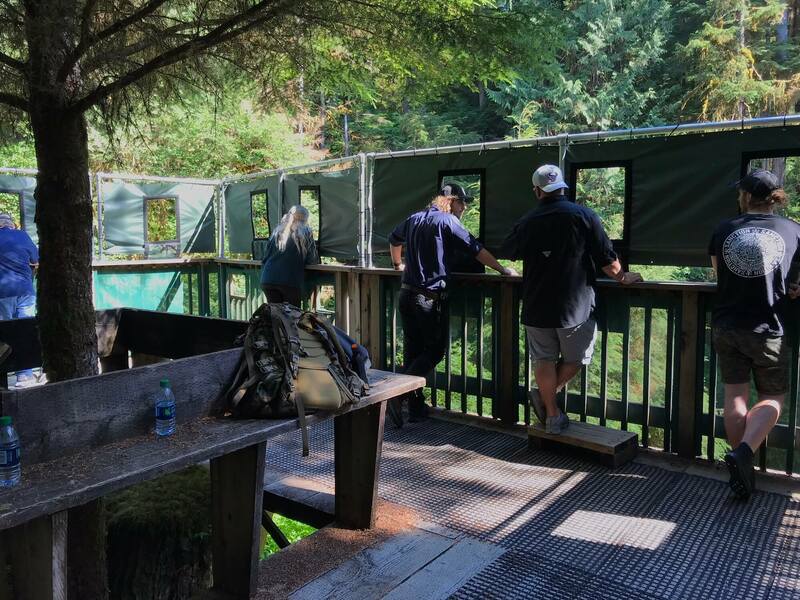 This tour is only available to a small number of visitors, thanks to a special U.S. Forest Service permit. It’s designed to land you in a world of wildlife unlike anything you’ve ever seen. A short guide to the adventure ahead. You’ll take off from the Ketchikan waterfront in a DeHavilland Beaver or Otter floatplane, rising above the harbor, historic homesteads, and over the shimmering waters of Alaska’s fabled Inside Passage. Now that would be a thrilling experience right there. 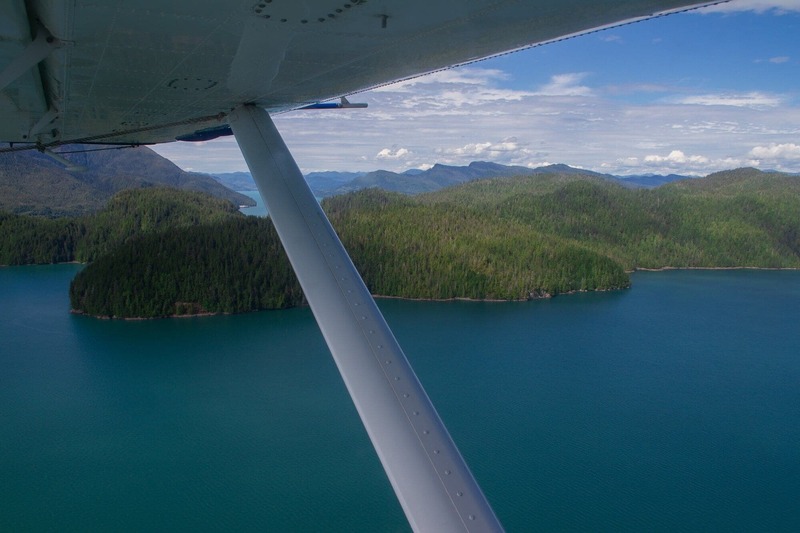 You’ll fly for about 20 minutes over forested mountains and pristine lakes on your way to a remote site in the Tongass National Forest. 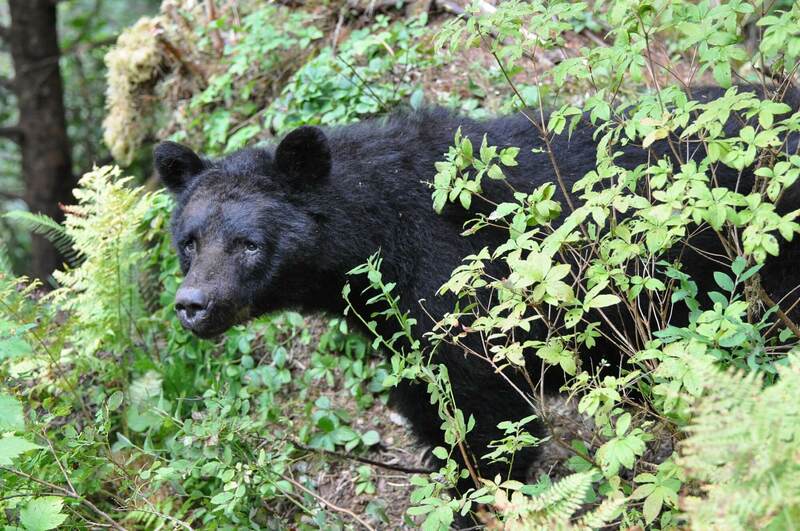 Here’s a big feature of your trip: A bear guide, at your service. Frankly, when it comes to wildlife, we plan the perfect trip. An Alaska naturalist/bear guide will meet your plane, and you’ll be driven by van about a mile to a trailhead. 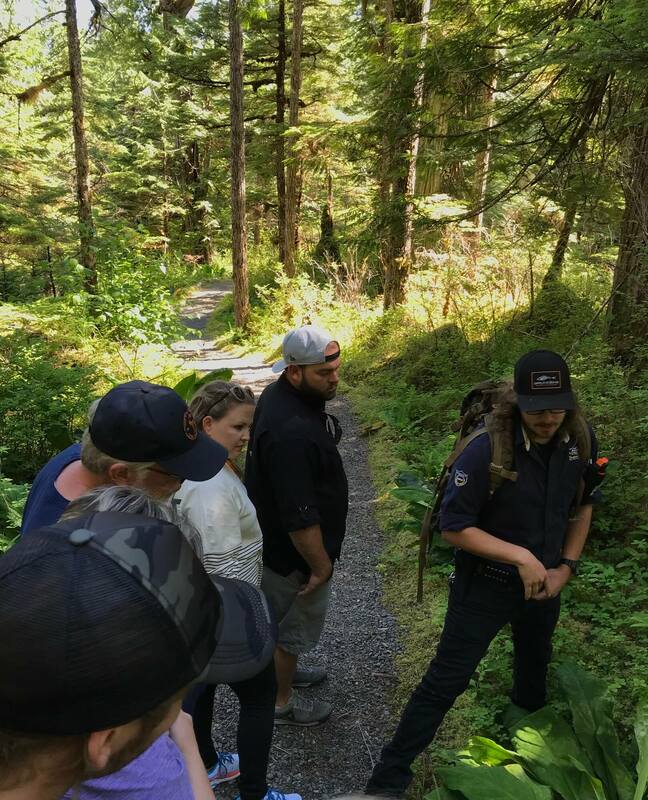 From there, you’ll take a short and visually stunning hike along an improved trail that leads to a viewing platform overlooking rapids, as a fast flowing creek cascades towards the sea. You will find yourself – literally – in the middle of an Alaska forest ecosystem. 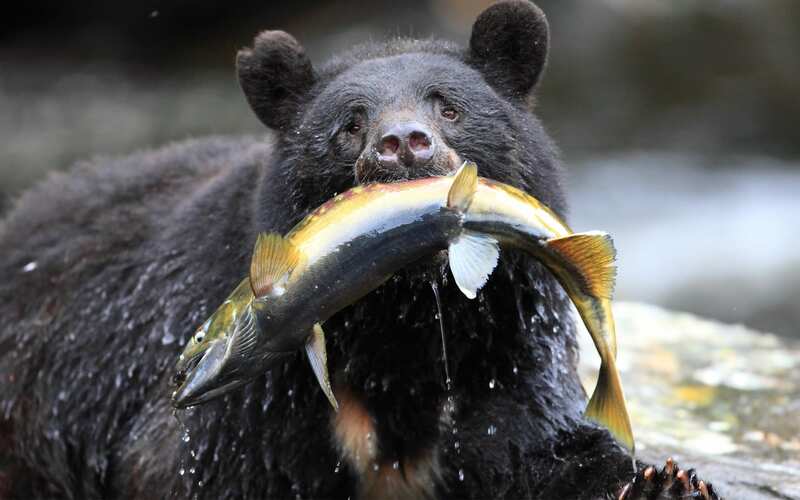 This is where black bears gather to feed on runs of pink, Coho and Chum salmon, as they head upstream to spawn. 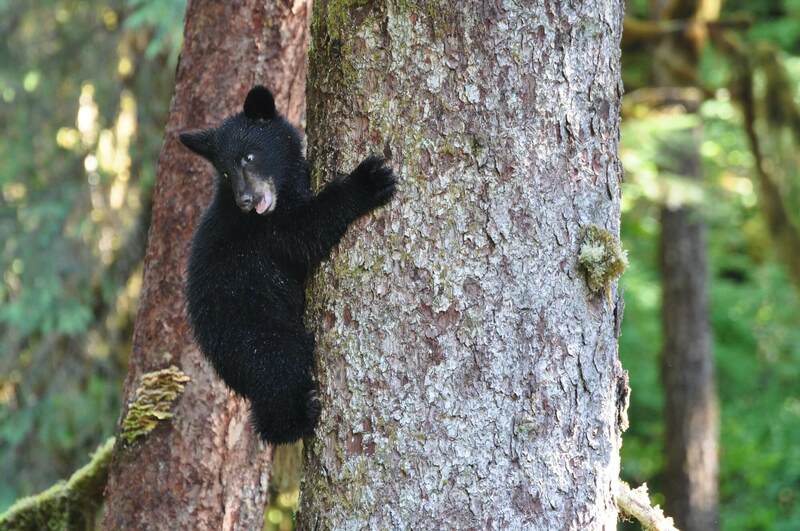 You may see bald eagles perching in the surrounding trees waiting for scraps left by the bears. And if that weren’t enough for the photographers and nature lovers among you, a variety of birds, Sitka black-tailed deer, mink and marten are often within viewing range. 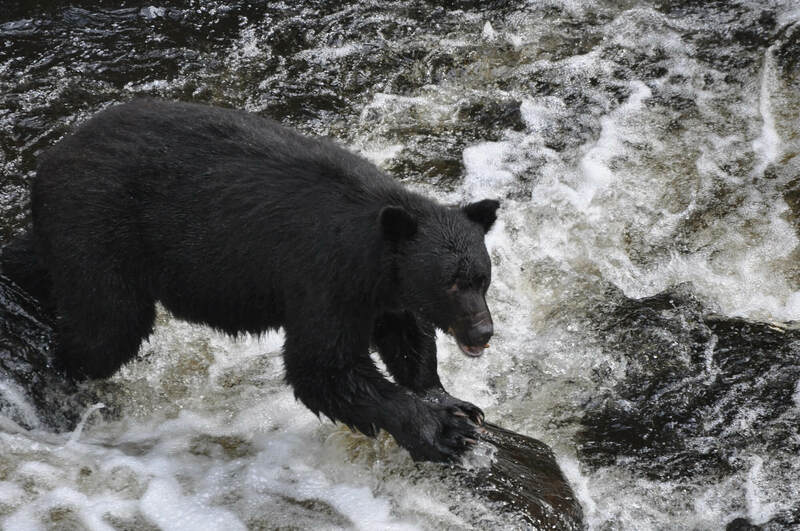 Plan on asking your guide just about anything, like, “How fast do black bears run?” The answer? 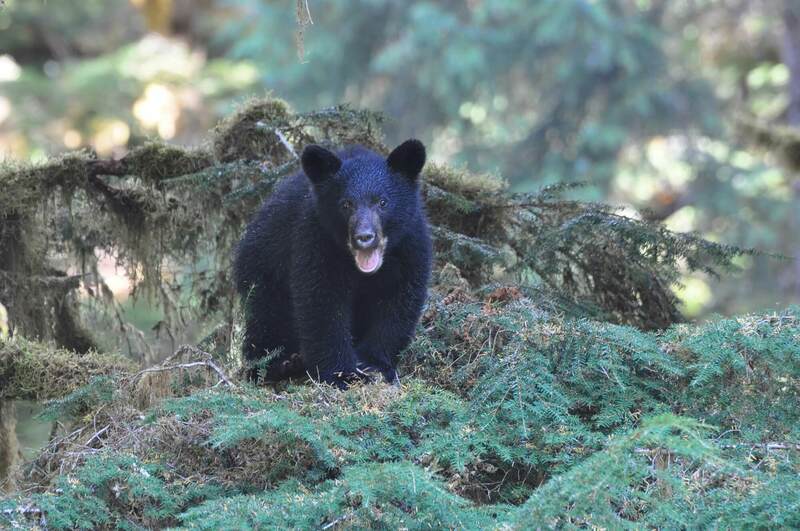 “Faster than any human.” If you’ve been wondering where and how to see bears in Alaska, you’re headed for the right place because you’ll be safe and sound with us – a Five star Medallion Shield Carrier. Please Note: This flightseeing tour is conducted from July through mid-September on a daily schedule and with a four fare minimum. Weather could alter flight routes for safety and enjoyment. 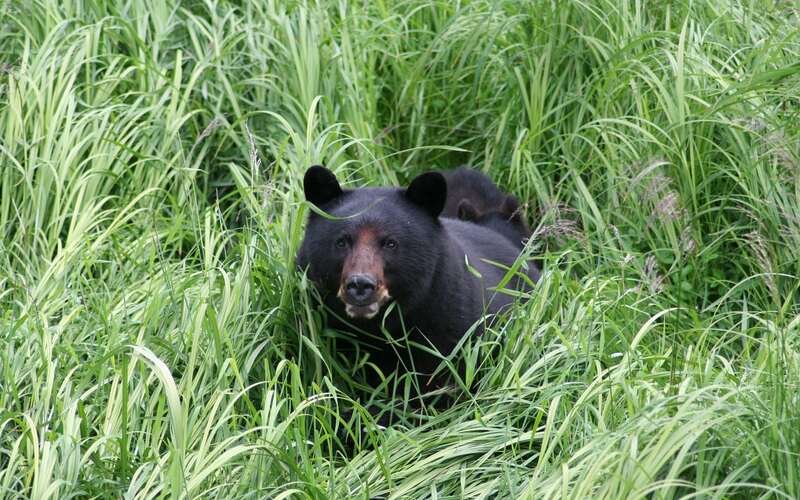 While wildlife sightings are frequent and expected, they cannot be guaranteed. My wife & I took the “bear tour”. We flew in old DeHaviland Beaver float planes from Ketchikan to Traders Cove, about 20 minutes each way. Our pilots (one for each direction) were excellent & experienced & provided helpful info. We were met by a guide & taken to a stream full of salmon. 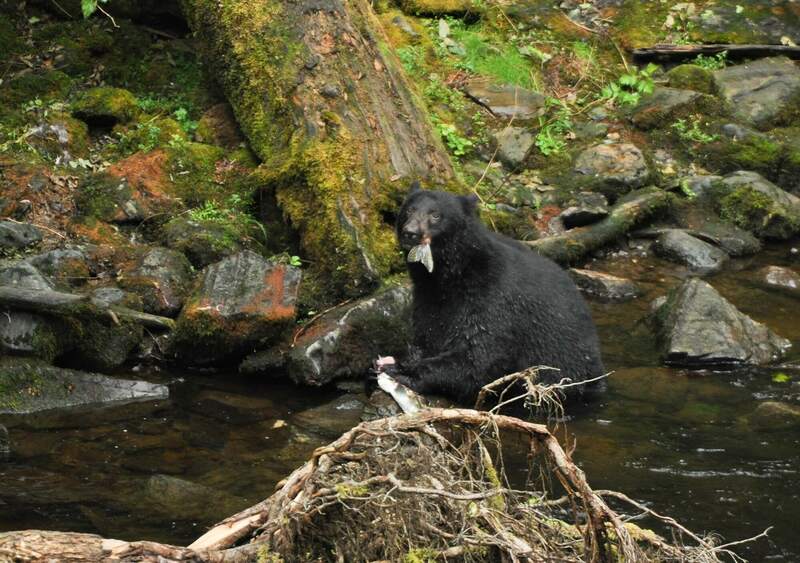 We saw 2 bears catching and eating & an eagle helping himself to leftovers. We had 45 minutes on the viewing platform which passed very quickly. The pilot took us on a different route going back. Views were incredible- also a little scary!